Pace Industries is North America’s leading full-service aluminum die casting, zinc die casting and magnesium die casting manufacturer. Strategically located throughout North America, we are more than a die casting company. We are a solution provider offering a wide array of capabilities and services. Our die casting capabilities are vast, and our aluminum die casting customers are supported with aluminum die casting machines that range from 400 to 3,000 tons. Our zinc die casting customers benefit from advanced die casting through both small Techmire machines and conventional die casting machines that range up to 500 tons. We also offer impressive magnesium die casting capabilities with machines ranging from 150 to 600 tons. Pace offers unmatched value-added services that include engineering support, design, shot blasting, complex machining, impregnation, tumbling, chromating, wet painting, powder coating, polishing, assembly and other finishing services. This is only a sample of what Pace has to offer. We are also a Tier 1 provider to several customers, managing all aspects of their supply chain. 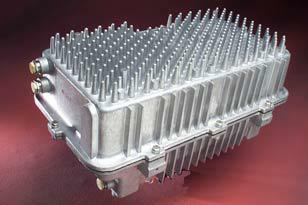 We’re truly a one stop shop for your die casting needs and beyond.